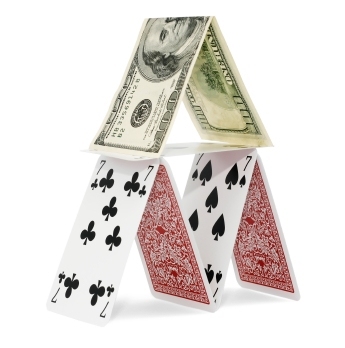 In a Ponzi scheme, potential investors are attracted by promises of very large returns or dividends over a very short period of time, due either to skill of the investor, or the secret nature of the investment. It is named after Carl Ponzi, who collected $9.8 million from 10,550 people in 1920, by offering profits of 50% every 45 days. Mr. Ponzi began telling New York investors in December 1919 that investments in foreign postage coupons could yield 50 percent returns in 45 days. By redeeming coupons bought cheaply overseas for much higher amounts in the United States, he could double their money in three months, he claimed. Ponzi sold people on the idea that he was purchasing foreign postal reply coupons, at a discount, in depressed economies and making a profit by exchanging them here. He claimed to have a network of foreign agents gathering coupons abroad to keep up with the demand. A few people invest in the scheme, then as news of the offer spreads, more investors are drawn in. Usually there is no actual investment involved, contrary to your understanding, just money being shipped in from new investors to pay the earlier ones. The scam will continue for as long as payments are regularly made to 'earlier investors' to provide credibility. Those fortunate few are known as 'songbirds' since they sing the praises of the scam to others. Any money paid to investors, described as income or interest, is actually a distribution from the 'capital' already received. Once the rate of investment slows down, the operator shuts it down [or declares bankruptcy] and disappears. The scheme can only continue for as long as new gullible investors can be found. In 2009, Bernard Madoff pleaded guilty in a USA federal court to running a Ponzi scheme that prosecutors said could involve more than $64 billion, and therefore make it by far the largest Ponzi scheme. Once a fraud is exposed, the remaining assets of the firm and its operators almost always are seized by the government or court-appointed trustee in bankruptcy court. However, others who were involved in varying degrees with the fraud may also be liable and have additional assets.